We built Zingtree decision trees to play nicely with other useful, popular tools, apps and platforms; this allows you to be as flexible as possible with your trees, as well as the information being collected and measured from them. By linking up your Zingtree decision trees with the apps and integrations used in your own business, you’ll make it easier for your customers and clients to access answers online, help your agents to keep up performance and resolve tickets faster, and simplify your optimization processes. 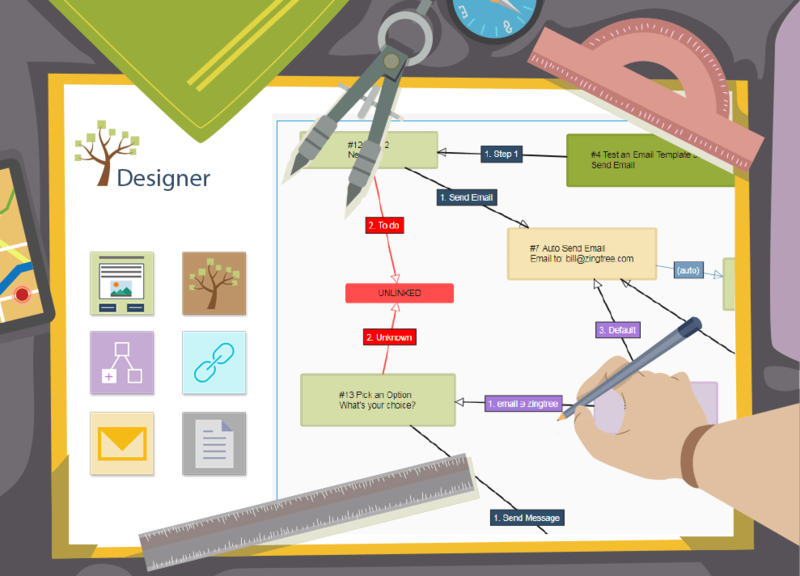 With only a unique short code, Zingtree’s direct integration with WordPress allows you to directly embed any of your interactive decision trees into any web page. This makes it simple for customers to navigate through any support or troubleshooting process on your site, with a simple, customized question-and-answer style flow. 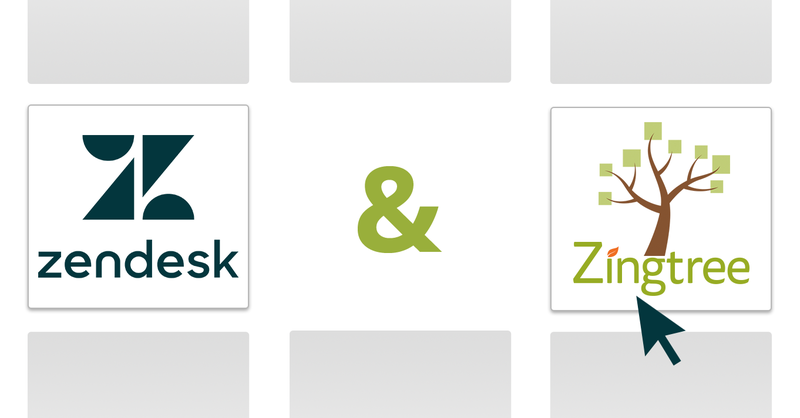 Our Zendesk app for Zingtree makes it faster to solve Zendesk tickets by giving your support agents additional background information on a customer’s specific problem. When a customer uses your decision tree and submits a support ticket, agents see helpful info from your customers in the ticket sidebar. For contact center use, our Agent Scripting app for Zendesk gives agents a handy script to follow during the course of a call. Again, right inside of Zendesk. With our Salesforce integration, agents can open a Zingtree decision tree within the customer’s Salesforce case. The most recent node and buttons clicked during the tree session are always saved with the ticket, so if another agent takes over, previous steps taken are clearly visible. On the other side, customers can navigate through a decision tree, then submit a support ticket, having the in-depth information from both connected. For Customer Support use cases, prompt your customers to try to solve their problem with a custom decision tree. If the customer is unable to find a solution to their issue or question, they can submit a ticket to Freshdesk to automatically send over a description of their problem, along with a full Q&A transcript of their session with Zingtree. Agents can then access complete details of their ticket, and pass along to other agents seamlessly. After configuring your integration with Slack, when an end-user visits a node in one of your decision trees, you can have that node trigger a custom Slack notification (including form variables). Once you set up Slack for your organization, any node in any tree can send a message to Slack to give you an instant update. See all of our applications, plugins and integrations from the Zingtree Integrations page.